Mammals have seven types of sirtuin, so Haim Cohen and Yariv Kanfi at Bar-Ilan University in Ramat Gan, Israel, turned to sirtuin 6 instead. They compared mice genetically engineered to have increased levels of SIRT6 with normal mice, engineering the mice in two different ways to control for genetic influences. 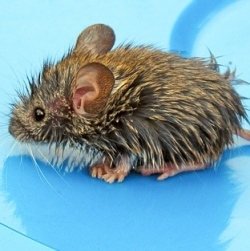 Male mice from both strains lived 15 per cent longer than normal mice or females. Older modified male mice metabolised sugar faster than normal mice and females, suggesting that SIRT6 might extend life by protecting against metabolic disorders such as diabetes. The significant increase in human lifespan during the past century confronts us with great medical challenges. To meet these challenges, the mechanisms that determine healthy ageing must be understood and controlled. Sirtuins are highly conserved deacetylases that have been shown to regulate lifespan in yeast, nematodes and fruitflies. However, the role of sirtuins in regulating worm and fly lifespan has recently become controversial. Moreover, the role of the seven mammalian sirtuins, SIRT1 to SIRT7 (homologues of the yeast sirtuin Sir2), in regulating lifespan is unclear. Here we show that male, but not female, transgenic mice overexpressing Sirt6 have a significantly longer lifespan than wild-type mice. Gene expression analysis revealed significant differences between male Sirt6-transgenic mice and male wild-type mice: transgenic males displayed lower serum levels of insulin-like growth factor 1 (IGF1), higher levels of IGF-binding protein 1 and altered phosphorylation levels of major components of IGF1 signalling, a key pathway in the regulation of lifespan5. This study shows the regulation of mammalian lifespan by a sirtuin family member and has important therapeutic implications for age-related diseases.